P. J. MacLayne is here today with an interview of her wolf-shifter hero, Gavin Fairwood, and an excerpt from Wolves’ Pawn, currently available for only 99 cents! Take it away, P. J. Dot McKenzie is a lone wolf-shifter on the run, using everything available to her to stay one step ahead of her pursuers. When she is offered a chance for friendship and safety with the Fairwood pack, she accepts. Gavin Fairwood, reluctant heir to the Fairwood pack leadership, is content to let life happen while he waits. But old longings surface when he appoints himself Dot’s protector … and becomes more than a friend. But her presence puts the pack and her new friends at risk, and Dot must go into hiding again. When old enemies threaten the destruction of the Fairwood pack, it will take the combined efforts of Dot and Gavin to save it. Can anything save their love and Dot’s life when she becomes a pawn in a pack leader’s deadly game? Me: Gavin, you fell for Dot almost immediately. What attracted you to her? Gavin: Her eyes, I think. She has beautiful eyes and they are so expressive. I dated lots of women from both my pack and others, and none of them ever attracted me like Dot did. Her courage shines through them, and that’s what got to me. Me: Is Dot really as tough as she acts? Gavin: Tougher, maybe. I think there are still things she hasn’t told me about her past because she’s afraid I’ll try to take revenge on the people who hurt her. Me: You chose not to challenge your father for pack leadership for a long time. Why not? Gavin: He was doing a good job, and I didn’t see any need to take over. He was open to suggestions and made some changes to make the pack more modern, and the pack, for the most part, seemed content. I saw how much of his time was spent keeping the pack functioning, and I didn’t want to be tied down like that if I didn’t have to be. Me: Which form do you prefer to see Dot in—human or wolf? Gavin: (laughs) I know better than to answer that question. She’s beautiful no matter which form she’s in. Me: We’re running out of space, so one last question. Have you and Dot discussed adding any little ones to the pack? Gavin: We’ve talked about it, and that’s all I’m going to say right now. Me: From the smile on your face, I think there’s something you’re not telling me. But I know our time is up, so I want to thank you for your time today. Gavin: Thank you for stopping by. Wolves’ Pawn is on sale for $0.99 for a short time. Amazon, Kobo, iTunes, and Barnes and Noble. The rush of emotions caught Dot by surprise. Anger, sadness, and fear warred for her attention. Instinct took over and she started to run away, but hit an unexpected obstacle. 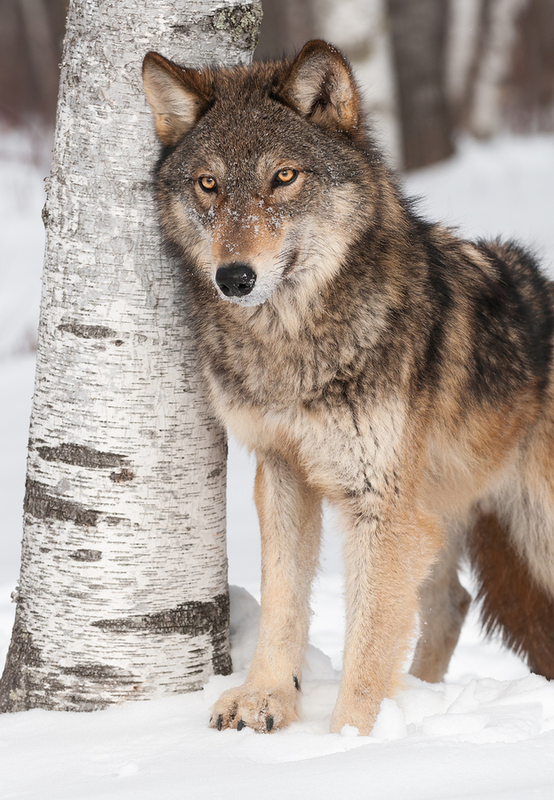 The largest gray wolf she’d ever seen blocked her path, its yellow-brown eyes staring into hers. “Follow me.” The words echoed in the back of her skull. She looked wildly around, trying to figure out who had spoken. She stumbled, almost fell, but caught herself. The wolf moved in front of her, guiding her away from the road. “My bike!” she said, stopping. “A friend will take care of it. We need to get you out of here. Follow!” She heard voices yelling nearby. The wolf moved off at a quick lope and she had to run to keep up with it. Its path wound between trees and large stones before it scrambled effortlessly up a rocky slope. It stopped at the top and waited for her to catch up. She was out of breath and paused to rest. “Not yet. Hurry!” The wolf moved away again, leading her down the other side of the ridge. It splashed into a small creek as it headed downstream. She tried to follow along the creek bank, but there was too much brush and she was forced to move into the water. She thought she knew these woods, but the wolf led her into unfamiliar territory. P.J. MacLayne is a computer geek by day and a writer at night. She grew up amid the rolling hills of Pennsylvania, where much of Wolves’ Pawn is set. She currently makes her home in the shadow of the Rocky Mountains. Thanks, P. J. Wolves are always so fascinating! This entry was posted in guest blogger, paranormal blogfest, Uncategorized and tagged character interview, paranormal blogfest, paranormal romance, PJ MacLayne, shape shifters, werewolves, Wolves’ Pawn by Linda / Lyndi. Bookmark the permalink. Thanks for the chance to be part of your Paranormal Blogfest, Linda! Thanks for participating, P.J. I’m a sucker for anything to do with wolves.